– all assistance in airports. 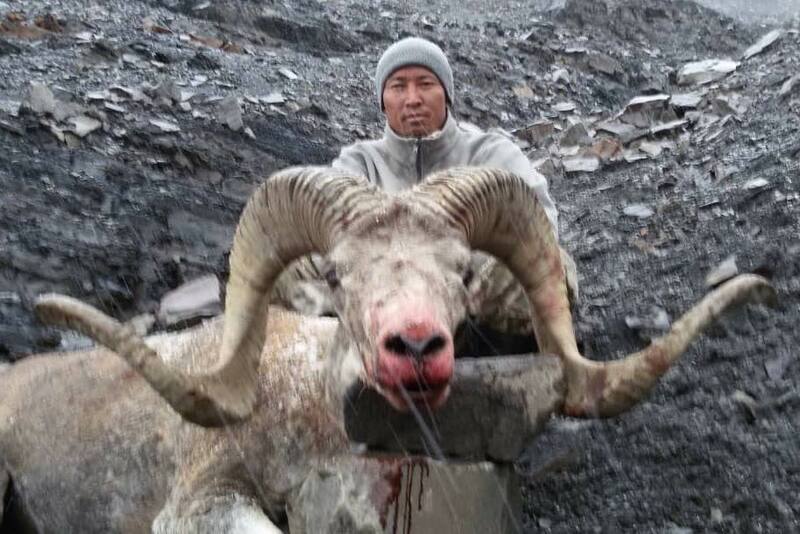 – all Hunting assisted by one or two local guides in full board accommodation (except in Bishkek). – The first preparation of the trophies. – International flights and extra weight luggage : two options to go to Bishkek through Istambul with TK or through Moscow SVO with Aeroflot. – Tips to local guides, cook, taxidermist. Depend of you. A good tips for the local guide is $ can be $ if two animals and good trophies. – If you need a special assistance of a european guide, you need to add $ to pay for extra services. – Sold of service three month before departure. – Sold of service two month before departure. – Payment can be payed by credit card (its given insurances)of by transfer on our bank account. Thursday : Arrival in Bishkek at 5:25 am. VIP treatment and recovery of the visa. Welcome by our correspondent, clearance of weapons. Direct Transfer by car to the hunting grounds. Starting 8-9 hours away. Friday: Preparation of horses. Zero the rifle scope. And start flying camp for hunting if you wish. Friday : Back to Bishkek. Dinner at the hotel of your choice. Around 5:00 in the morning transfer to the airport. Saturday : TK 349 flight back to Europe starting at 7:00 am and arriving at 9:00 in Istambul. Then any flight to Europe. Wednesday, : Departure from any big city from Europe to Moscow destination (SVO airport). Thursday : Arrival in Bishkek at 5:10 am. VIP treatment and recovery of the visa. Welcome by our correspondent, clearance of weapons. Direct Transfer by car to the hunting grounds. Starting 8-9 hours away. Friday : Preparation of horses. Zero the rifle scope. And start flying camp for hunting if you wish. Friday : Back to Bishkek. Dinner at the hotel of your choice. Around 4:00 in the morning transfer to the airport.